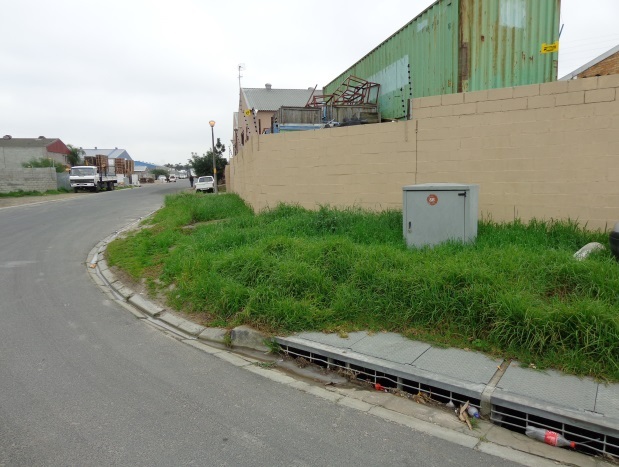 You are cordially invited to attend the Annual General Meeting of the Blackheath City Improvement District Association at 13:00 on Wednesday 08th October 2014. 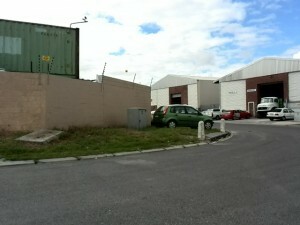 The meeting will take place at 13:00pm at the Offices of HomeChoice in School Road, Blackheath Industria. Please confirm your attendance / non-attendance by return. As a registered member, if you are unable to attend on the day, please provide us with your proxy so that we may confirm our mandate for the BCID for the period 2015-2016. Resolutions presented at the AGM can only be voted on by bona fide members of the BCID. 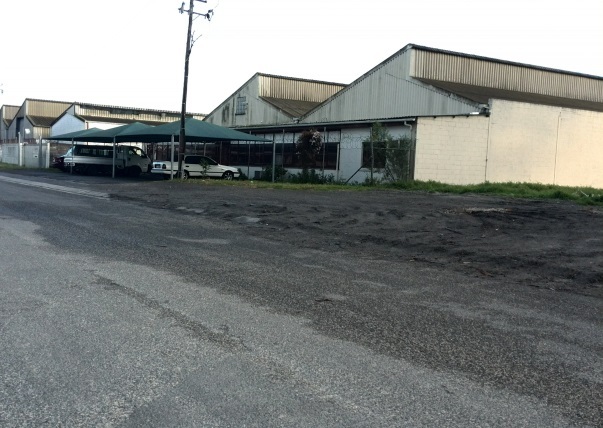 This membership is available free of charge to all owners of commercial and industrial property within the Blackheath CID’s footprint, but they must be registered before 30th September 2014. 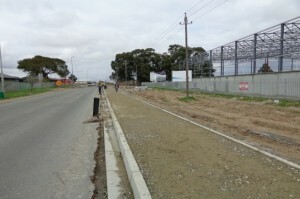 Welcome to the August edition of the Blackheath City Improvement District Newsletter. 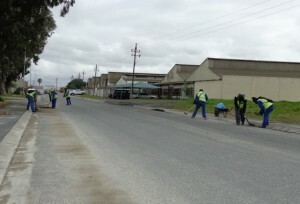 Blackheath is bustling with the sound of construction and heavy vehicles, as the main roads are decorated with construction workers and kerbstones. 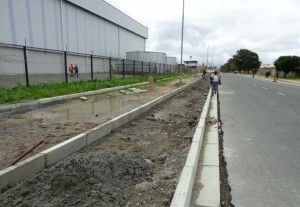 Long standing storm water issues including channels and catch pits and gulleys are being dealt with and new infrastructure is slowly appearing to decorate our once seriously understated roadways. 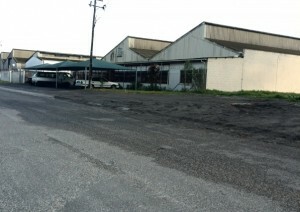 Some concerns relating to the width of roadways and the provision of taxi and bus pull off areas have been raised as well as stacking points. The City is strong on their stance that companies and business should provide the stacking facilities for delivery vehicles on their own premises, although it is our attitude that this is not always possible and that in a Heavy Industrial Area like Blackheath we should be more flexible in our approach by making provision for queueing delivery and despatch vehicles. 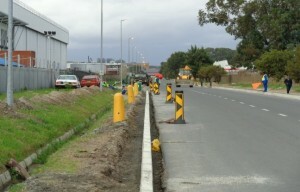 There are formal areas that trucks can stack along Wimbledon and Range Roads and we will continue to negotiate the above concerns with the City and its contractors to ensure that the new road infrastructure supports business in Blackheath whilst coping with the changes in use and traffic volumes in a safe and beneficial manner. It is almost time for our AGM and annual feedback session where we will welcome presentations and feedback from Eskom and the City relating to the Business Retention Survey that was carried out in partnership between the City of Cape Town’s Economic Development Directorate and the Blackheath City Improvement District (BCID). We will also, as always take advantage of this opportunity to provide feedback to members of the BCID and property owners about our successes to end June 2014 and set our priorities in the form of our Implementation plan and budgets for the 2015 – 2016 financial year. In August 2014 we managed to get a lot of maintenance work done throughout the area. We managed to do a lot of Maintenance in Nebula Crescent and in Artisan Way. 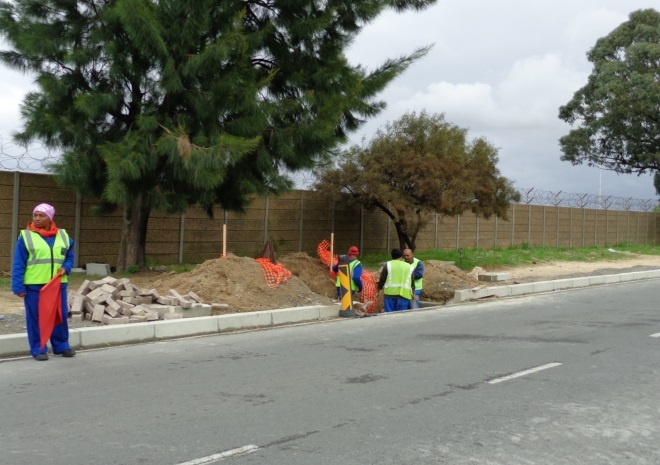 In Artisan Way they are busy widening the road, but the contractor had a hold up with Eskom that had to remove the street lights from the verge of the road. We took some time to repair the Bollards in Nebula Crescent and will also be painting them as soon as the weather starts clearing up. In the month of August we managed to get our staff through every street doing litter picking, weeding and sweeping. We trust that the service we provide in the area is to your satisfaction. If you would like to report any concerns please feel free to contact our office at 021 905 0929 or send me an email at mark@bcid.co.za. We welcome your complaints and feedback. Road works in the area have progressed well over the past two months. 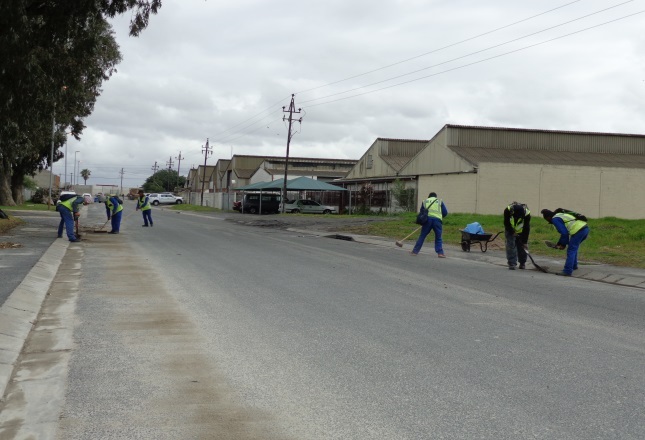 The section between Buttskop Road and School Road is nearly complete on the left hand side of the road and the final tar layer will be done at a later stage. 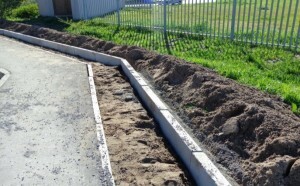 The kerbstones in School road and down towards the station were delivered and installation began this month. 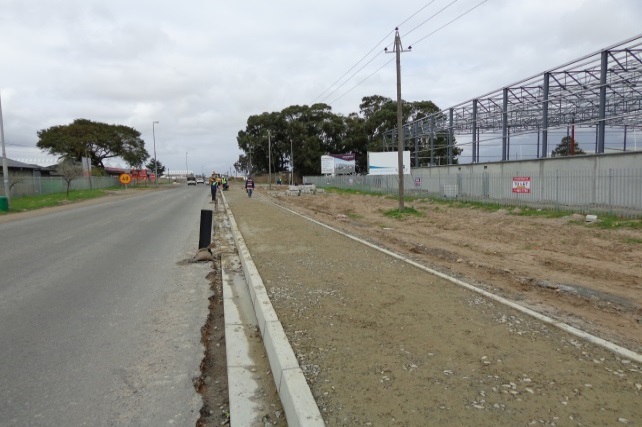 Things that are currently concerning us regarding the NMT lanes is that they have not seemed to have made provision for bus stops and taxi pull overs in School Road and Range Road. 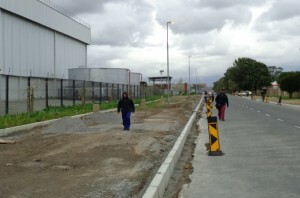 The road engineers have been informed about this problem and we trust that the necessary amendments will be made to the plans. We welcome Gordian Fence SA (Pty) Ltd that are a leading fencing manufacturer and contractor, operating in the commercial and industrial sector, based in the Western Cape, South Africa to Range Road. They specialise in large fencing projects and their clients include government departments, parastatals and large corporations. 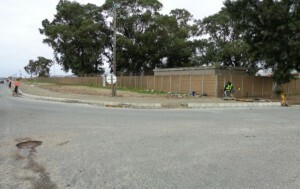 They are also installing all Betafence fencing products, and were the first company in Africa to install a bowed fence system, which they did at a South African Prison in 2002. 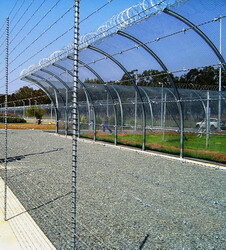 The system has since become a nationally accepted specification for prisons. In 2008 they completed the installation of similar systems in 12 prisons situated throughout the Western and Eastern Cape, and are currently busy with two other prisons in Ceres and Worcester. Gordian Fencing was previously based in Paarl and are now based in Blackheath on the corner of Range Road and Rand Roads. 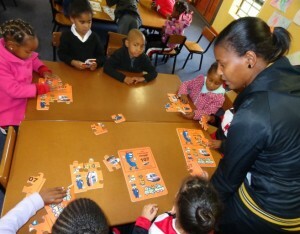 If you would like to know more about them you may visit their webpage at www.gordian.co.za or contact them at 021 905 0355. Happy Feet Crèche is not at the full capacity yet that was experienced earlier this year due to change of season and parents being at home and don’t feel the need to bring children to crèche. 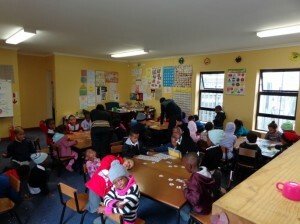 Many of the parents are seasonal workers on the neighbouring farms. The Apilayo Amanzi Grade “R” School is sitting with a full class room of 48 learners and teachers have their hands full with these busy bee learners in the class. 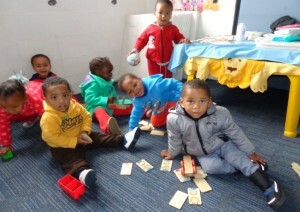 The ECD Centre also started with a small vegetable garden and are making compost by using all sorts of organic ingredients. Or have a look at our website at http://www.bcid.co.za Kindly note: We aim to have all businesses operating within the BCID are listed on the website directory. If you require any changes to be made to your listing or your business to be added please email mark@bcid.co.zawith your name, the name of your company, your company’s address, company contact number and a brief description of what you manufacture, produce, provide as a service, etc.